Those were the words of a parent, whose son recently completed his Eagle Scout project planting trees at A New Leaf’s shelter. 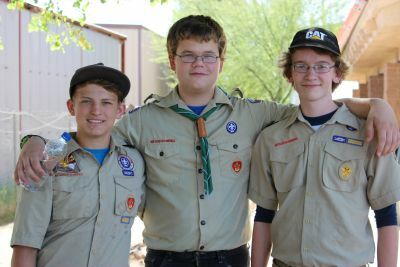 Take an energized, fresh faced troop of scouts and combine with a volunteer task and you get A New Leaf’s army of miracle workers: youngsters who renovate shelters, collect life-saving water, donate basic needs and supplies, and do just about anything to make the world a better place. A New Leaf loves the Scouts. The Eagle Scouts. The Girl Scouts. The Tenderfoots. The Lifers. The Stars. They are all wonderful. Every scout has a mission, just like A New Leaf’s mission: to change lives. Scouts are unique. When you see a group of scouts volunteering at A New Leaf, they are always working together and working hard. Their core value is teamwork, and the force of a united team knows no bounds. Scouts are accountable. They are trustworthy. They have a broad set of skills. They learn to do hard things. They are mentally tough. They aren’t afraid of performance. They sacrifice their time to serve. Most of all, they are compassionate. This year, Scouts have truly made an impact at A New Leaf. Projects as varied as installing solar panels on our East Valley Men’s Center, collecting hygiene supplies for shelter residents, and cleaning up the grounds have brought tears of joy from residents and staff. Dozens of projects have been organized by Girl and Boy Scouts. Remember, if you are considering your Eagle Scout Project, our website has a page dedicated to you!